MKR1000 is a powerful board that combines the functionality of the Zero and the Wi-Fi Shield. It’s based on the Atmel ATSAMW25 that is part of the SmartConnect family of Atmel Wireless devices, specifically designed for IoT. It offers the ideal solution for makers seeking to add Wi-Fi connectivity with minimal previous experience in networking. 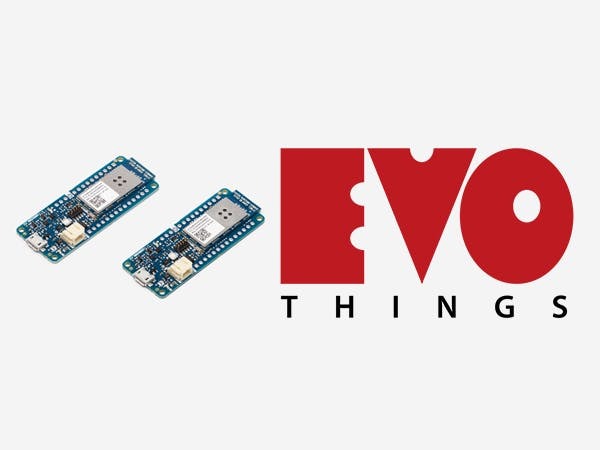 Evothings Studio is a mobile application enabler for the industrial Internet of Things (IoT). It’s really interesting technology to simplify the development process and fun to make apps in using Web Technologies, instead of native languages, is also great to connect faster our cloud services platform to the mobile Apps. 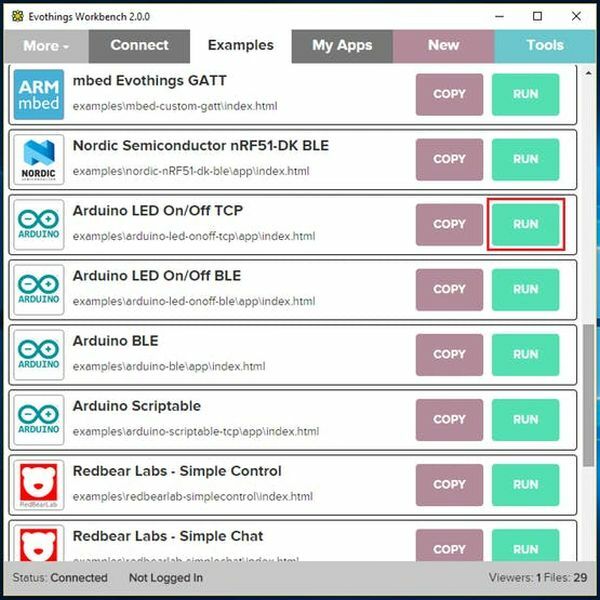 This simple project shows how to make an app that controls an Arduino MKR1000 board with Evothings Studio, by communicating over the TCP networking protocol. This example runs in Evothings Viewer on Android or iOS. 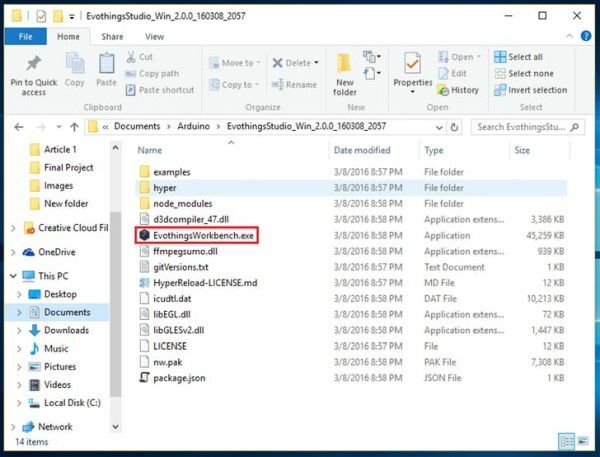 You need to run this example in Evothings Viewer. Alternatively, you can build a Cordova application if you wish to distribute the app. You then need to include the Cordova plugin org.chromium.socket. Read more in the documentation of the Evothings Viewer. 1. Wire up the Arduino MKR1000 board. 2. Open arduinowifi.ino in the Arduino development tool. 3. Enter the name and password for your WiFi network in arduinowifi.ino. // Your network SSID (network name). // TODO: Enter the name of your wifi network here. // TODO: Enter the password of your wifi network here. 4. Upload the program to the MKR1000. 7. 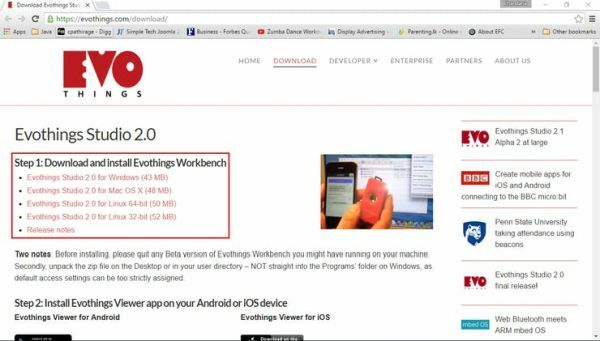 Run Evothings Viewer on an iOS or Android mobile device and connect to the Workbench. 8. 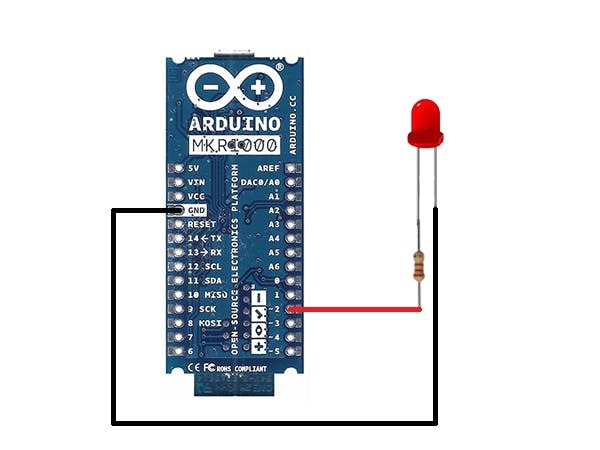 Launch the example “Arduino LED On/Off TCP” from the Workbench window. 9. 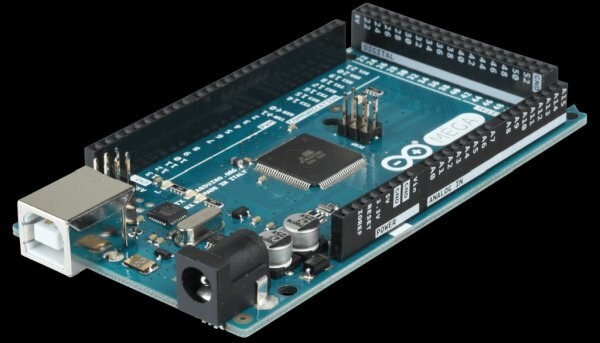 Enter the IP address of the Arduino MKR1000 in the app. 10. If everything works, you should now be able to turn the LED on and off using the buttons in the app. If it does not work, check your wiring and that the right pins are used (remember pin 2 is used for output). This example is written for a network using WPA encryption. For WEP or WPA, change the Wifi.begin() call accordingly. The API consists of the requests listed below. Requests and responses end with a new line. The input parameter n is a pin number ranging from 2 to 9.
hex encoded number ranging from 0 to FFFF. Note: O is upper case letter o, not digit zero (0). // Your network key Index number (needed only for WEP). // Create WiFi server listening on the given port. // Start serial communication with the given baud rate. // monitor to the same value. // Check for the presence of the WiFi shield. // If no shield, print message and exit setup. // Connect to Wifi network. // using open or WEP network. // Check that we are connected. // Listen for incoming client requests. // Loop while the client is connected. // Print the value (for debugging). // Exit loop if end of line. // Add byte to request line. // Read the command from the request string. // Read the parameter from the request string. // This handles a hex digit 0 to F (0 to 15). // Send response to client. // Print WiFi shield IP address. // Print the signal strength.